Valmet will supply a wood pellet heating plant to Helen Oy's Salmisaari power plant. The wood pellet plant will enable Helen to increase the use of bio fuels in district heat production in Helsinki. The new plant helps the city of Helsinki to meet its aim of increasing its production of renewable energy. The start-up of the heating plant is expected to take place at the beginning of 2018. The order is included in Valmet's second-quarter orders received in 2016. The value of the order is over EUR 20 million. "Utilization of wood pellets as fuel increases the use of domestic renewable fuels in energy production and creates jobs in raw material sourcing and transport. The heating plant also supports Helen's goals of climate-neutral production," says Heikki Hapuli, Director, Production and Distribution at Helen Oy. "In designing the Salmisaari wood pellet plant we have been able to utilize the experiences gained in earlier, similar projects. 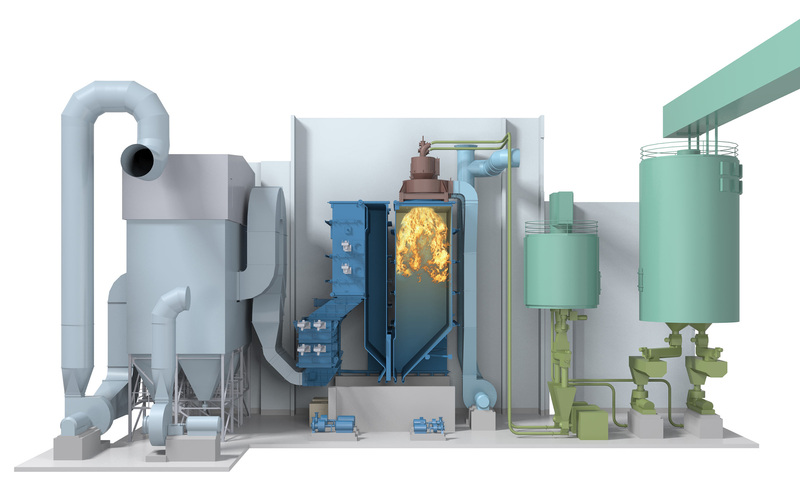 The plant fulfils the tightening environmental requirements by utilizing a low-NOx burner technique and efficient dust removal. Pellets made of barkless raw material as well as industrial pellets, which have been produced by also including bark and forest residue, can be utilized as fuel at the plant," says Kai Mäenpää, Vice President, Energy Sales and Services Operations, Valmet. Valmet will supply the wood pellet heating plant as a total delivery. Valmet's delivery includes fuel conveyors from the existing storage silos, wood pellet grinding and the wood dust equipment, hot water boiler and flue gas cleaning by way of a bag hose filter. In addition, Valmet will supply the plant construction, electrification and a Valmet DNA automation system. Helen will be in charge of the construction of the foundation. The district heating capacity of the plant will be 92 megawatts (MW). Once in operation, the new plant's energy output will correspond to the heating needs of 25,000 two-room apartments. The new heating plant at Salmisaari uses 21 tonnes of wood pellets per hour. Pellets are pulverized and burned in the burners of the boiler. Helen Oy`s business consists primarily of the production of electricity, district heating and cooling, as well as energy distribution and sales. The company has close to 400,000 clients in various parts of Finland. The company's district heating covers over 90 percent of the heating needs of the city of Helsinki. Helen also expands energy-efficient district cooling in Helsinki. The company aims to produce energy in a carbon-neutral way by the year 2050.